These bars taste like candy. Which isn't surprising, because their nutritional label is pretty much on par with a candy bar. These are high in calories, fat, and sugar. 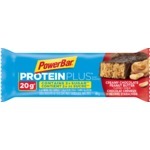 They are great as meal replacements or if you are an active person who is always on the go, but they are not meant for the everyday consumer. My favourite flavour is White Chocolate Macadamia. I appreciate that most of the flavours are vegan! Clif = Bon goût ! J'achète les barres clifs depuis quelques années maintenant et j'adore toujours autant ! Ma sorte préféré c'est celle-ci ! Chocolat blanc et noix de macadame. Soutiens bien, peu cher et bon goût ! A friend of mine let me try it a few years ago and I liked it but like most things I forgot about it. Maybe a year ago I was at superstore and I saw them and I was hungry so I grabbed one to go and I loved it! It tastes amazing and it really is helpful to have, especially if you are in a rush and just need to grab something and go without feeling like your eating something unhealthy! I buy these regularily! 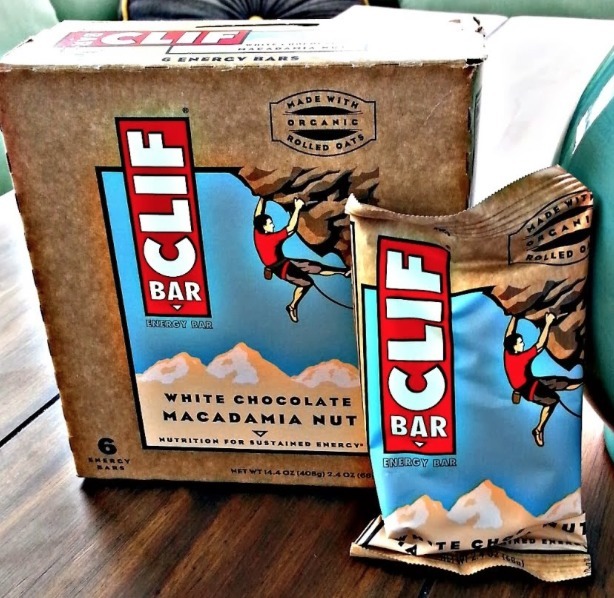 I am a huge fan of Clif bars. They come in a variety of flavors. 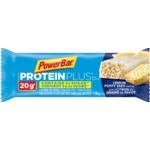 Definitely one of my favorite flavors is the white chocolate macadamia nut energy bar. 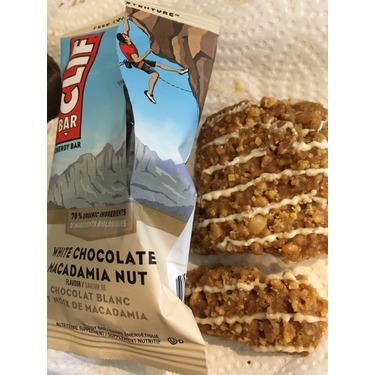 It is drizzled with white chocolate on the top of the bar and has a satisfying amount of BOTH macadamia nuts and white chocolate chips throughout the energy bar. 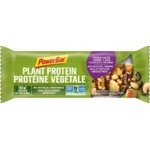 The only time that I purchase these energy bars is when they go on sale for a dollar, or less. They are great for keeping you full for 3-4 hours. I definitely recommend this product! 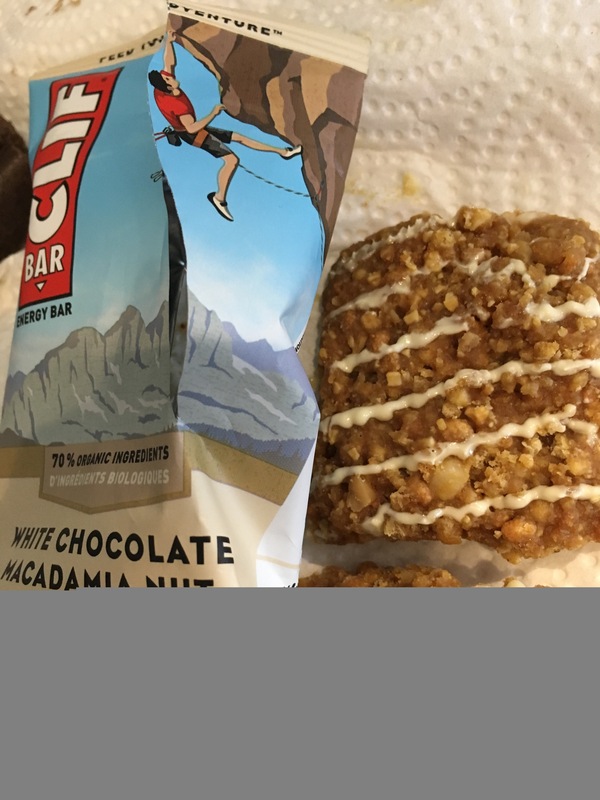 I tried my first cliff bar a year ago. They were being handed out to participants at a cancer walk in my community. I loved it and have continued to buy them throughout the last year. They have alot of flavors to choose from, but the chocolate macadamia nut one is my favorite. I will continue to buy these. 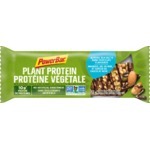 These remind me of subway white chocolate macadamia cookies, but less guilt. They have protein, less sugar and fat, and are the perfect size for a snack. I would keep buying this product ! 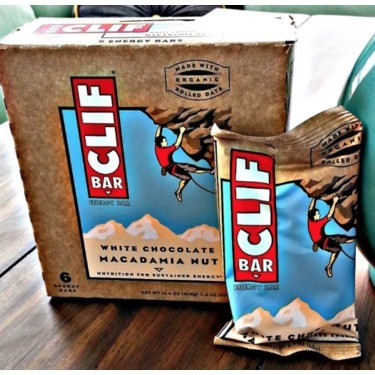 Clif Bar are an excellent choice to have when you travel it is handy to have one in your purse or backpack . I am busy runing around all day driving so when I have a break I eat a Clif Bar. Very tasty and nutrious too!